When doing repairs for kitchen and bathroom drywall, there would be instances where tile installation is necessary. Considering that water damage usually occurs in the kitchen and bathroom, as well as in their adjoining walls , tiles would have to be removed during civil works. Additionally, in some instances damage may occur under the tiles, which would only be noticed in severe or large scale damage. 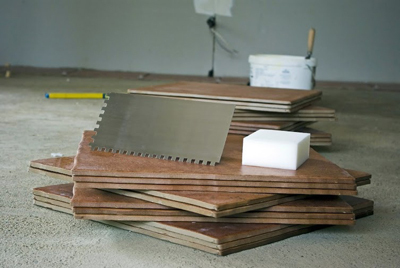 Tile installation is a service offered on top of water damage and drywall repair. Instead of having a separate contractor redoing the tile work, it would be cheaper for the homeowner or building administrator to have the drywall repair company to do it on top of the water damage and drywall services. Our experts at “Drywall Repair Reseda” strive to provide the best service for our clients. This includes end-to-end servicing of water damage and drywall repair. With our experience in kitchen and bathroom tile works, we have become true experts. We have installed bathroom tiles, kitchen tiles, floor tiles of different types and materials. These include subway tiles, glass and mosaic tiles. Installing tiles is not just a matter of putting the tiles in place. The masonry has to be even for the tiles to adhere. The tiles have to be level with one another otherwise the resulting wall or floor would be bumpy. In addition, care has to be taken to make sure that the tiles fit one another. If any of these conditions is not met, the tiles would easily fall off or pop out of place. Tiles are beautiful and decorative, and may seem to be easier to install than regular plaster finishing. Placing a set of tiles with their mesh intact onto the wet plaster is easy; what is hard is leveling the plaster before placing the tiles, and then leveling the tiles after they are placed. A properly installed wall tile can last a long time. Improperly placed tiles will fall off when you least expect them. 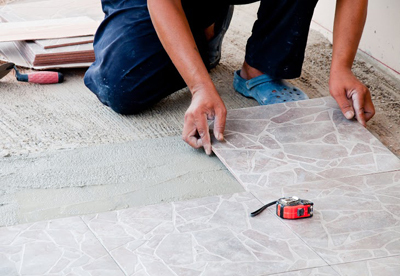 We make sure that the tiles we place do not fall off or otherwise get displaced in any way. Besides drywall repair, tile installation, and water damage repair, Drywall Repair Reseda also offers general contracting services and other services for drywall problems, including mold remediation, wall plastering repair, wall covering services, and other related civil works. As repair specialists, you can give us a call for any drywall concerns or damage. As experienced civil works contractors, you can give us a call for general drywall works. We also do civil works to finish a torn down wall, which some other contractor may have started.